I held the negatives up to the light, trying to make out what they were about, but no such luck. They were just too small. I searched on Google for a negative converter, reader, scanner, and printer or whatever you want to call it. There must be hundreds of them. Different sizes, colors, makes and models all in different price ranges. Finally, I gave up on choosing one because I only have 180 negatives and will probably never have anymore due to my cameras being digital now. Then I found GoPhoto . They printed me a UPS sticker to affix to an envelope with the negatives inside. They will sort them and see which ones are still good and then let me order prints or have them put the photos on a CD, DVD, or USB drive. I dropped the envelope off at the UPS Store today and I can't wait to see what they will find. There should be photos of my son when he was a baby that I haven't seen in 20+ years. Also, some photos of where we lived in Baton Rouge, LA. Good news, the commercial inspection in Washington, Virginia, is set for Friday. I can't wait. I always wanted to check that little town out. 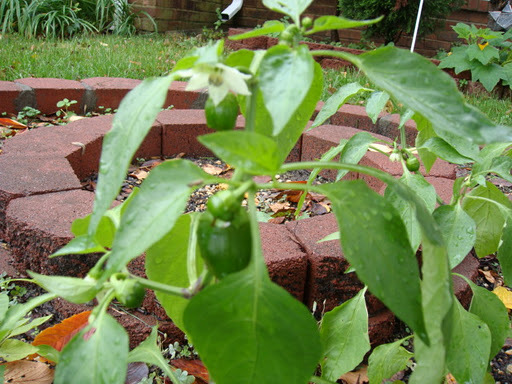 Look what I saw today.....green peppers the size of a dime. I wonder if there is enough time for them to grow. It's supposed to get colder next week. Well, I've got my fingers crossed. 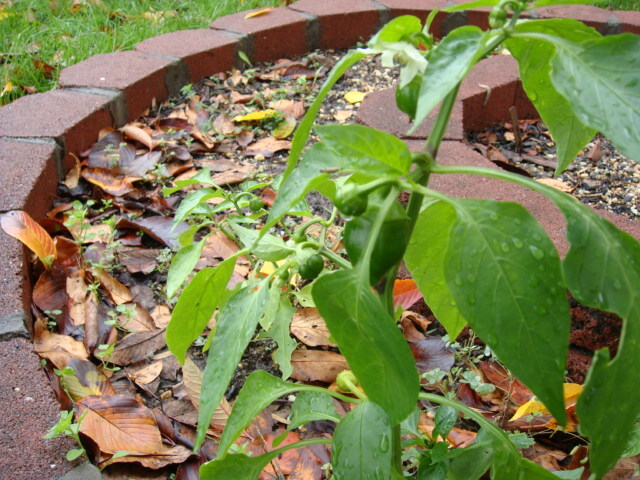 Organic green peppers are going for $3.99 a piece around here.